Because RVs don`t travel daily in most cases, RV tire failures are usually the result of water or sun damage, especially to the sidewalls. 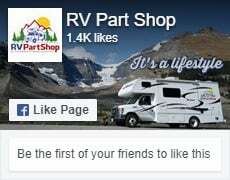 Prevent cracking and blowouts with tire covers from RV Part Shop. Tires left to the elements can be extremely unsafe, so increase your tire life for safety and savings. We have protective covers that can be used on spare tires, as well as tire guards that are designed to be used to cover tires in-use while the vehicle is in a stationary position We have sizes and styles to fit all tires and applications.